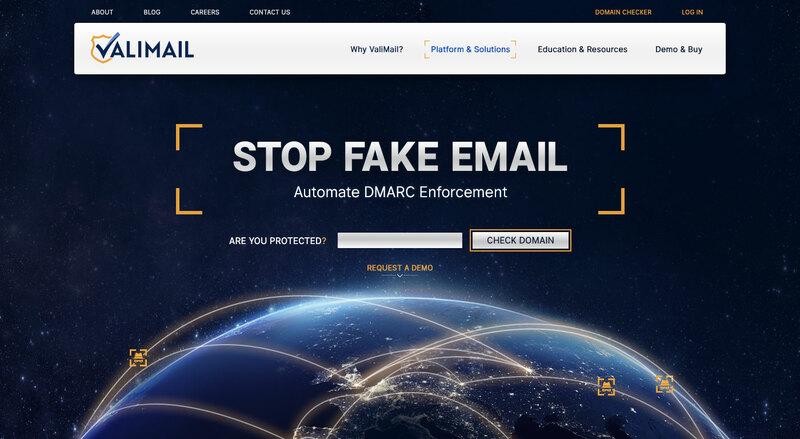 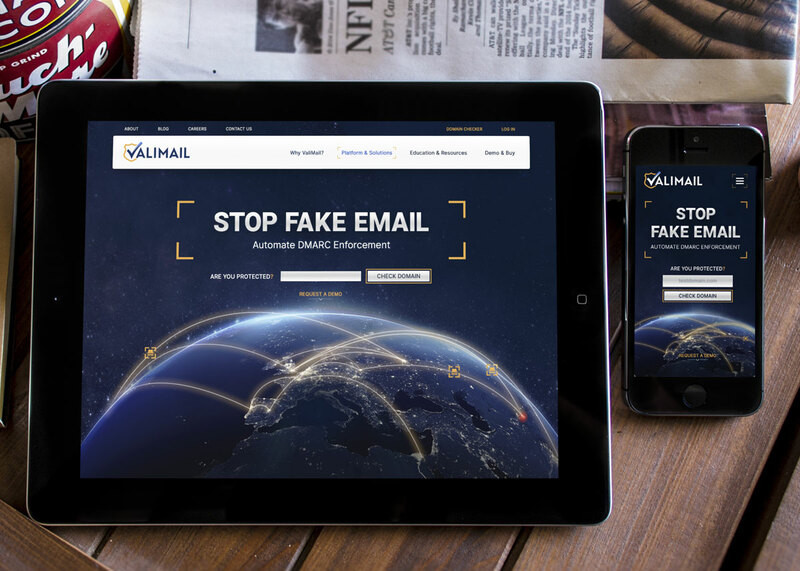 Valimail needed a more professional looking website that communicated not only how big their company is, but how far-reaching DMARC enforcement is. 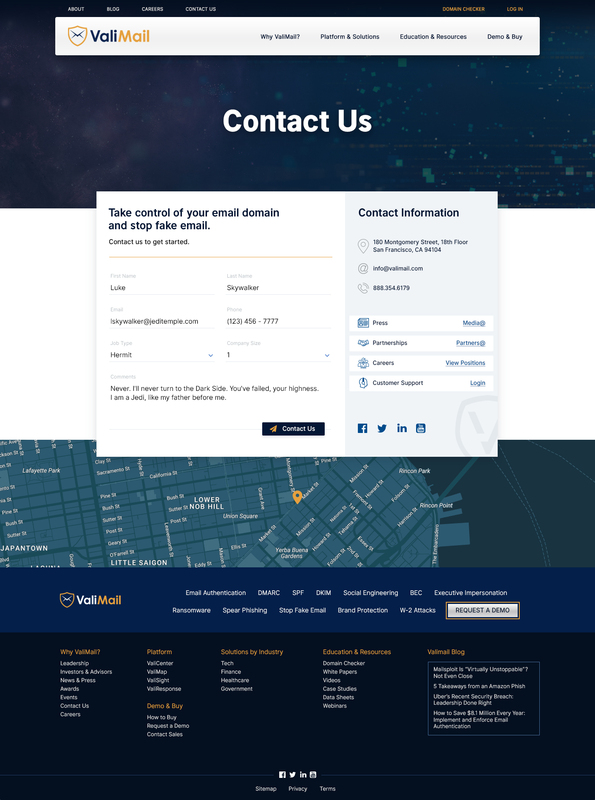 We opted for a story based homepage full of animations showing communication lines around the globe. 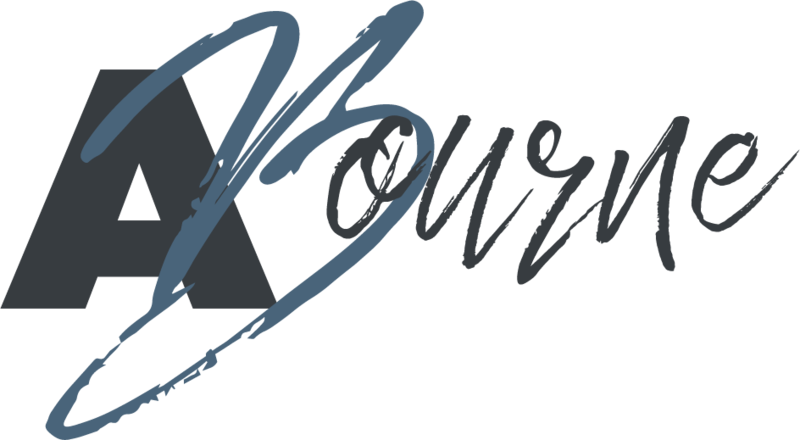 As you scroll down the page, information either comes into focus or fades out as you progress through the information. 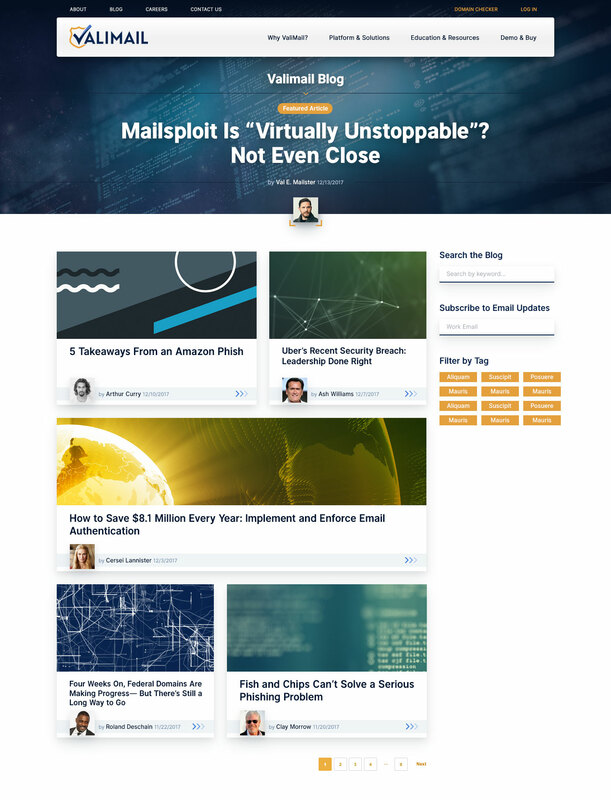 The subpages hinted at the global reach within their abstract headers while the information down the page zig-zagged through diagonals that hinted at the diagonals in the V, A's and M within the logo.